Thanksgiving, and the holiday season, seems like a weight-gain trap. Instead of depriving yourself from the delicious meal, boost your metabolism to burn fat and calories. The average American consumes 3,000 calories during Thanksgiving dinner, according to ACE Fitness. Add in the appetizers and other meals throughout the day and you’re looking at a caloric intake that’s about 4,500 to 5,000 calories. In one day you’ve gained 1 to 2 pounds—3,500 calories equals 1 pound of fat, according to the American Society for Nutrition. And don’t forget about all the left overs; that’s just screaming more calories. This workout focuses on bodyweight exercises, so you can take this routine anywhere. You’ll move in all planes of motion. Plus, there are modifications for all fitness levels. You’ll target your endurance muscles, so avoid long breaks and keep the tempo up. Have a question about any of the following moves? Do a slow push-up, raise your chest slow from the ground, and raise yourself back into plant position. Then, walk your hands back to your toes and raise yourself up to stand. 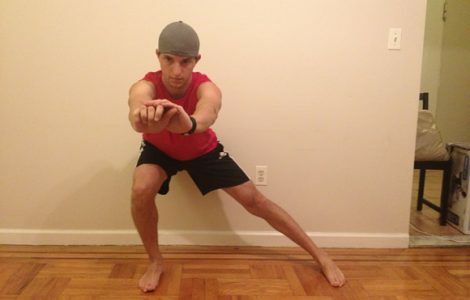 Lower yourself to one knee. 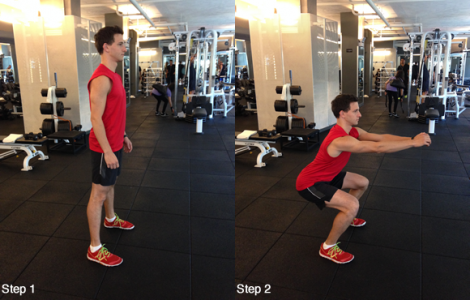 Maintaining a straight line from your shoulder, hip and knee, lean back. 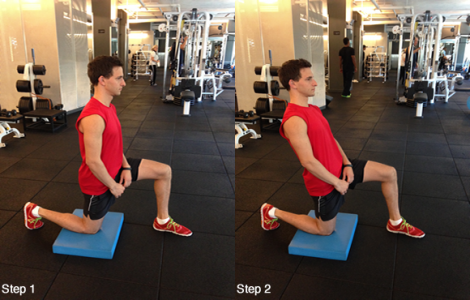 Do not force this stretch because the hip flexors are very tight and could be overstretched. usually 90 degrees but if you can go lower than that then go for it. movement on the other leg. Do 10 on the other side.